Gov. 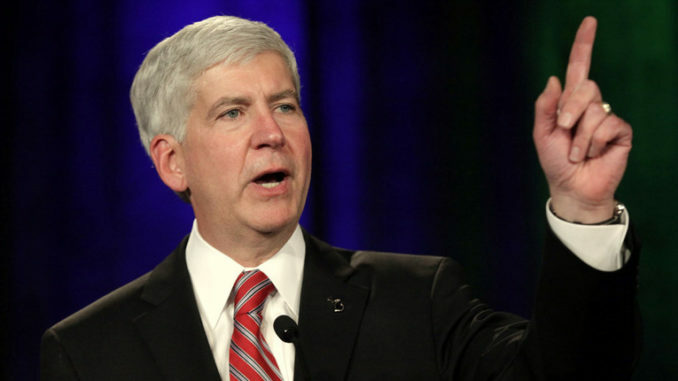 Rick Snyder of Michigan has signed a bill into law that makes online trolling illegal, punishable by a 20 year prison sentence. Michigan’s Public Act 457, defines trolling as posting a message or statement on social media with the intent to mislead, damage, intimidate, frighten or harass a person to cause emotional distress – or in other words anything deemed ‘offensive’ by another person. Fox13now.com reports: Under the new law, if a person who cyberbullies someone causes the victim to suffer from an assault or battery by the bully or by any other person, the bully can be charged with a misdemeanor and imprisoned for up to a year and fined $1,000. The law stated that if a cyberbully causes the death of a victim, regardless of whether the bully physically caused the death, they could be charged with a felony and face up to 20 years in prison. The act was set to go into effect 90 days after Snyder signed it into law.